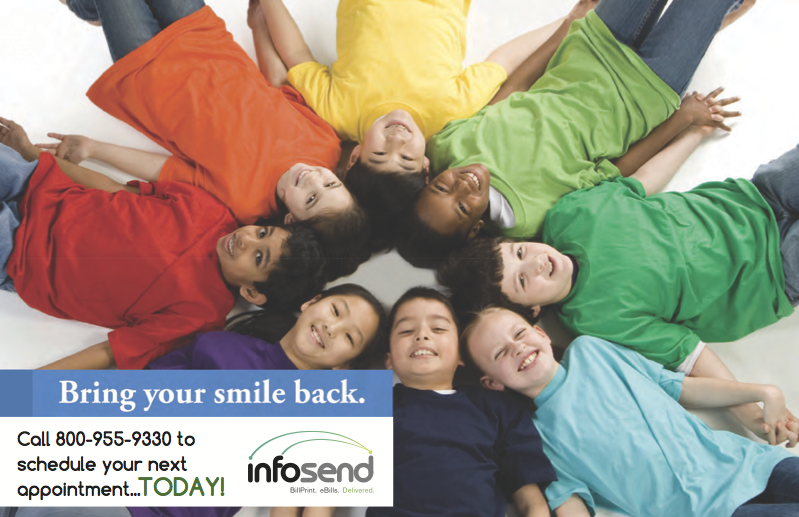 InfoSend provides a variety of direct mail services. This includes the printing and mailing of targeted marketing documents and variable data letters that contain advertisements. The vast majority of the direct mail volume is made up of targeted documents that utilize InfoSend's data processing capabilities. Full color printing postcards & tri-fold mailers with variable data and images. UV coating & tabbing available. Black or full color printing of variable data letters. Offline Inserts – traditional inserts are printed offline and then inserted with your bills. Up to 5 offline inserts can be included with your bills. Offline inserts can be digitally printed in grayscale or full color, or offset printed in full color. Inline Inserts – if your organization often includes static inserts with your bills InfoSend can convert them to Inline Inserts. An automated process is set up to selectively print your inserts immediately after each bill is printed. This increases your ability to target specific customer types and provide one-to-one messaging. Inline Insert printing is usually grayscale or 2-color. 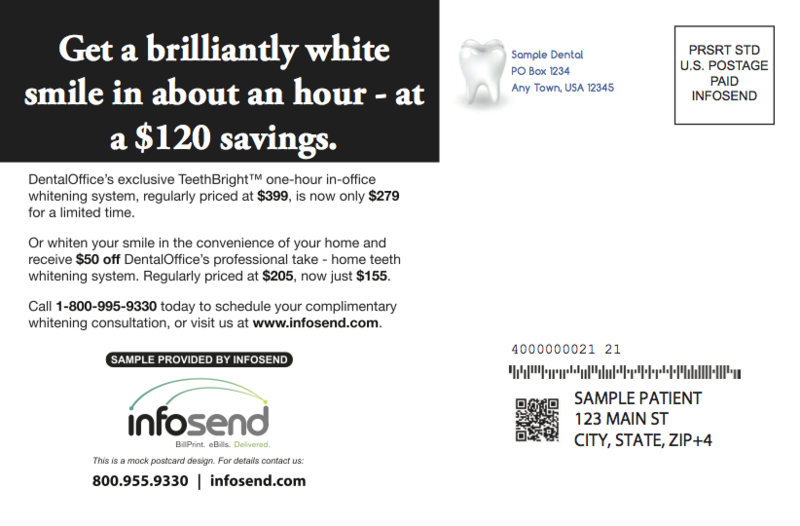 Examples of commonly outsourced direct communication document types are postcards, newsletters, and one-time mailings. In addition to recurring variable data postcards and other marketing documents, InfoSend can provide the setup and fulfillment of your one-time mailings. For example California municipal clients often require assistance with one-time mailings such as "Prop 218" informational mailers. One of the most common and effective marketing documents our clients utilize is the 6"x9" full color (4/4) postcard. The size of this large format postcard allows for more effective communication, allowing more emphasis on images and copy than the historical 4.25"x6" size. The 6"x9" full color postcards are generally more communicative than full color letters as most consumers do not open mail pieces that they suspect are advertisements. High-quality color postcards are printed on thick (minimum 10 pt.) stock and stand out when mail is retrieved from the mailbox. Selective Inserting is available, which allows you to selectively target inserts, flyers, or newsletters to specific mail pieces. Selective Inserting will also allow you to exclude a #9 return envelope for all customers participating in an automatic payment program (ACH). Individual documents can be grouped together ("householding"), if desired. To view detailed information about inserts and InfoSend's unique insert management tools please click here to visit the Inserts page.